Even if you grow and save most of your own seeds, there may be times when you want to order something. It might be a new variety you want to try or an old favorite that has come back on the market after an absence of several years. Gardener’s catalogs, according to author and gardener Rumer Godden, “are as big liars as house agents.” I would agree that they should be read with tongue firmly in cheek and taken with a large grain of salt. Still, many do have useful and accurate information. 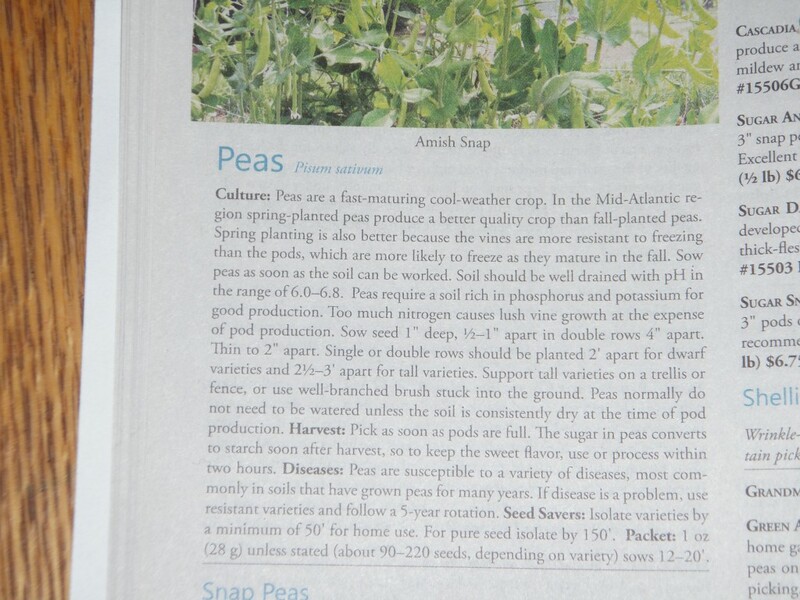 I have to say, however, be wary of the plant hardiness zones they list for their offerings, especially if the catalog is published in an area that has very different growing conditions from yours. There are huge differences between a Zone 7 garden in the arid west and a Zone 7 in the humid northeast, not to mention soil types and insect populations. 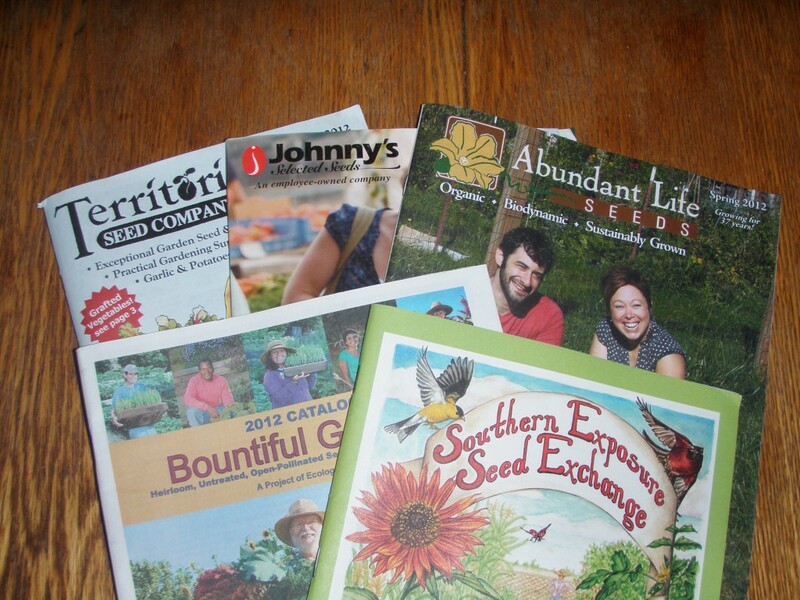 I find I have the best success when I buy seeds that are grown in conditions similar to those in my area – many catalogs will tell you where their seeds are grown. Some catalogs provide considerable information about growing, harvesting and even storing the fruits of your labors. I tend to choose vegetable and fruit varieties on the basis of two major criteria; taste and productivity. I don’t particularly like hybrid seeds, although I find there are a few open-pollinated varieties that just don’t cut the mustard. I’ve tried several open-pollinated varieties of yellow patty-pan squash, for example, and they either don’t germinate well or produce poorly. Open-pollinated seeds, in case you’re not familiar with the term, will produce a plant like the parent plant and you can save the seeds; you can save seeds from hybrids but your plants will usually be widely variable from the parent stock. I like yellow patty-pans enough that I may wind up buying hybrid seed this year. This catalog gives you packet weights in grams. That said, once you’ve decided you want to grow Mortgage Lifter tomatoes, how do you get the best buy? For most of us, price is unfortunately an object, and even if it weren’t, I have a deep-seated genetic aversion to spending more money than I need to. Price per packet is deceiving, because a packet from one catalog may contain more or fewer seeds than a packet from another catalog. Some sellers give you seed counts, others tell you a packet is so much of an ounce or so many grams. Others tell you a packet plants so many feet of row; if you know the average spacing in a row you can calculate how many seeds in a packet. On the other hand, in square foot or intensive gardening, you don’t plant rows. The easy way is just to buy the lowest-priced packet of seeds. If you have friends or family who garden and you can all agree on the variety, it may be cheapest to buy seeds by the pound and re-distribute. There’s no industry standard for the amount of seeds per packet, so you might be taking a slight risk of not having enough seeds, but in my experience, most companies sell packets with enough seeds for the average gardener. If you want to do some basic calculations, get a catalog that lists number of seeds per ounce. If it lists a range for the seeds in an ounce, take the lower figure to be safe. That will let you compare the cost of packets sold by the ounce to packets sold by number of seeds. 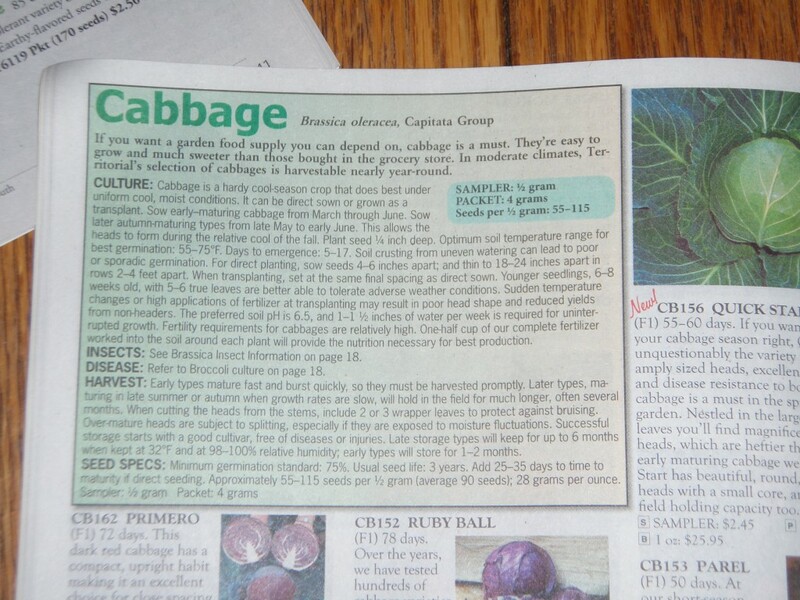 Of course, some catalogs go the metric route and list their seeds in grams, so you have to calculate to compare. For a quick conversion, remember 1 g = 0.035273 oz. I know it's hard, but just pick one or two! The other cost issues are shipping and tax. Once you’ve got your cost per seed, see if you have to pay tax on your order. If not, and cost per seed is the same, go with the no-tax seller. The same applies to shipping. Shipping will be more the farther away you are from the seller, but sometimes if your seed order is large enough, you get a break on the shipping. 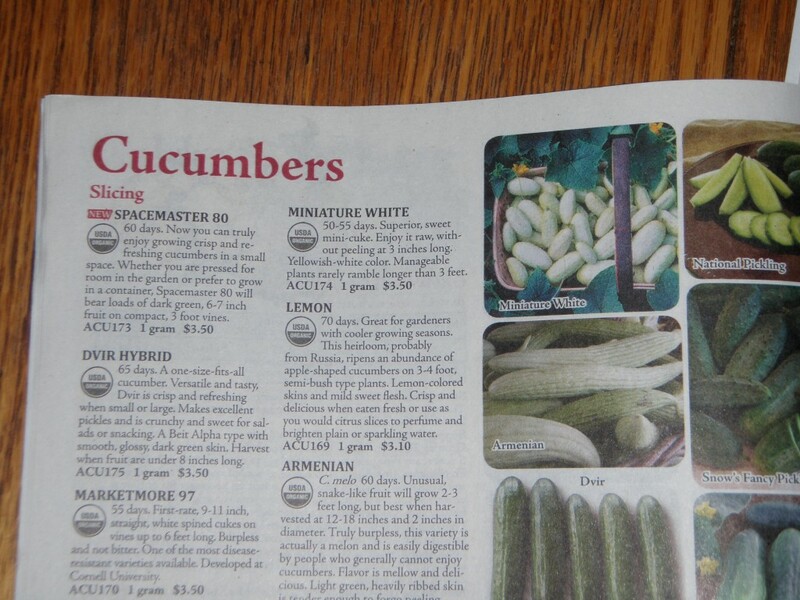 A final word – seed catalogs have a tendency to make even dyed-in-the-wool tightwads go weak in the knees. This is the voice of rueful experience speaking. Try not to buy more than you can plant. If you do, be sure to store your seeds properly; in most cases you will be able to plant the rest within the next year or two.